So, what form does your gratitude take? Let's just cut to the chase... it's no secret that gratitude is a life giving force. It may very well have the greatest impact on our fulfillment in life. 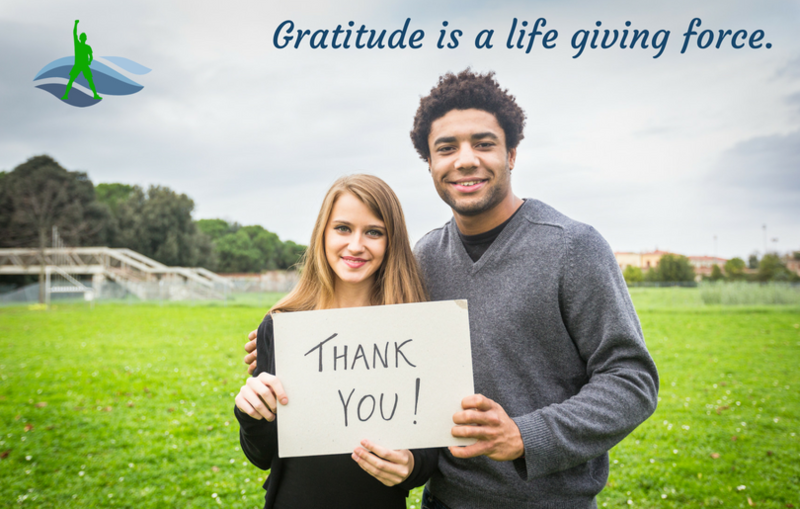 Gratitude is one of those values that can get crowded out of our busy lifestyle. We just don't seem to have time to stop and think about it. And that's it... it takes thinking. It's not necessarily an autonomic response. We need to do it on purpose. The great thing about it is, it's completely under our control. We can do it whenever we choose to and there are so many wonderful ways to express it. Undervalued No More We are all different but there are some values that truly are universal. Gratitude is one of them. You know it when you see it kinda thing. Gratitude is much like forgiveness. It affects those we express it to in fantastic ways, and yet, has an even greater impact on our own wellbeing. What do I say and how should I say it? Vocabulary is a reflection of who we are, but not necessarily who we want to be. It informs our vision of life and oppresses it or sets it free. Addressing our vocabulary isn't necessarily a moral work. It's a creative work! With a quick Google search you can find articles telling us, that it's the really smart people who use curse words in their daily conversation but I don't think that's true. It's more likely a lack of creativity. The smartest person in the room is not the guy/gal spewing profanities. 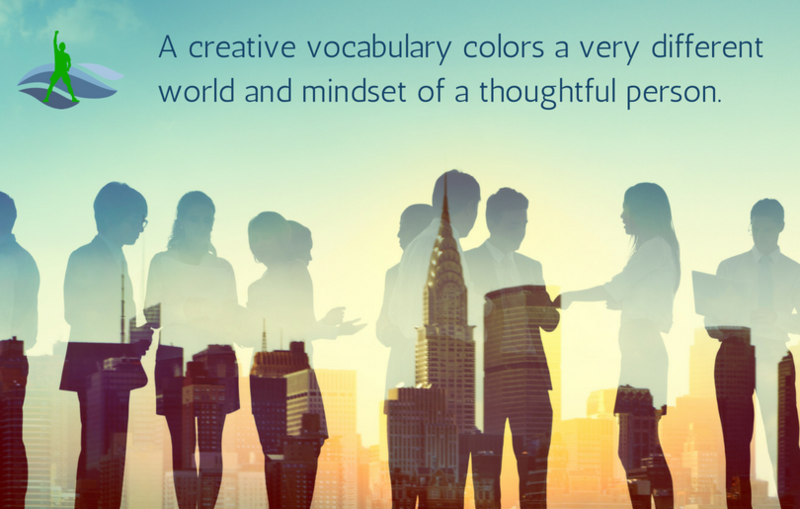 It's the person with a "higher" word stock that breathes creativity and inspiring thoughts that builds themselves and others up. Bad verbiage is rarely inspirational. It may be functional, but don't we have a vision of our life that is more than functional? You bet, we do! A Quick Diagnostic | What Have I Overlooked? 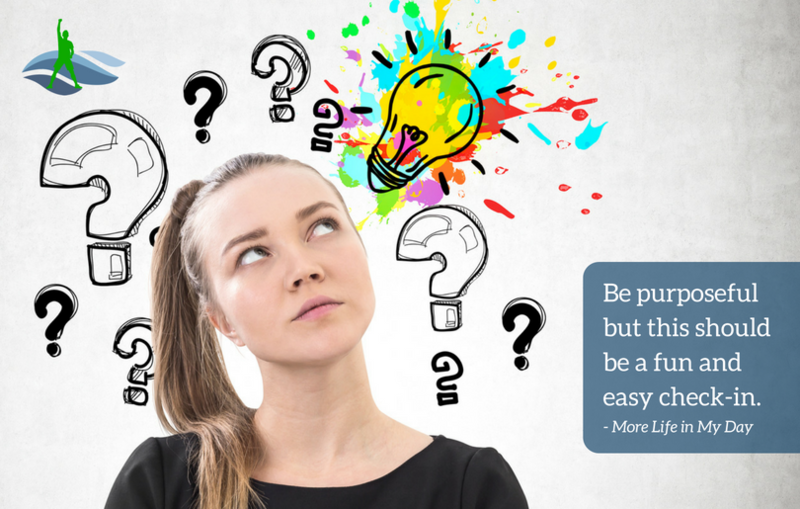 Sometimes we get super busy and put far more things on the back burner than we wish we had. Some of those things can get forgotten in the rush. The disquieting part is, some of those things impact our ability to hold up our values. What have I been putting on the back burner? Is there something there that should have never been diminished? How does that thing reflect on who I am and the values I want to hold up? Values/Behaviors/Habits If we can find that thing that has been crowded out of our life and work it back into our daily walk, we may find our fulfillment is enhanced. It's a good, quick maintenance check-in to keep the main things, the main things! What does this value/behavior/habit look like now? What makes this so important? How can I make this a natural part of my day? What are the obstacles for doing it well? How do I minimize distraction and maximize integration of this value/behavior/habit? © Copyright 2019 More Life In My Day. All rights reserved. Click to fill out the 1 minute form!